Sarah Jessica Parker attends the Disney Mickey True Original Exhibition Grand Opening Celebration wearing a millinery look from the DISNEY X GIGI BURRIS collection. The actress wears the Disney x Gigi Burris “Magic Moment” headpiece which features French veiling and tulle hand sewn onto grosgrain wrapped headband and hand applied individual sequin and Swarovski crystal detailing applied to ears and gathered veiling. The Disney x Gigi Burris “Magic Moment” veil retails for $450.00 exclusively at www.gigiburris.com and Nordstrom SPACE. On Gigi Burris’s Instagram page, you can see her and Sarah Jessica Parker wearing the collaboration collection. 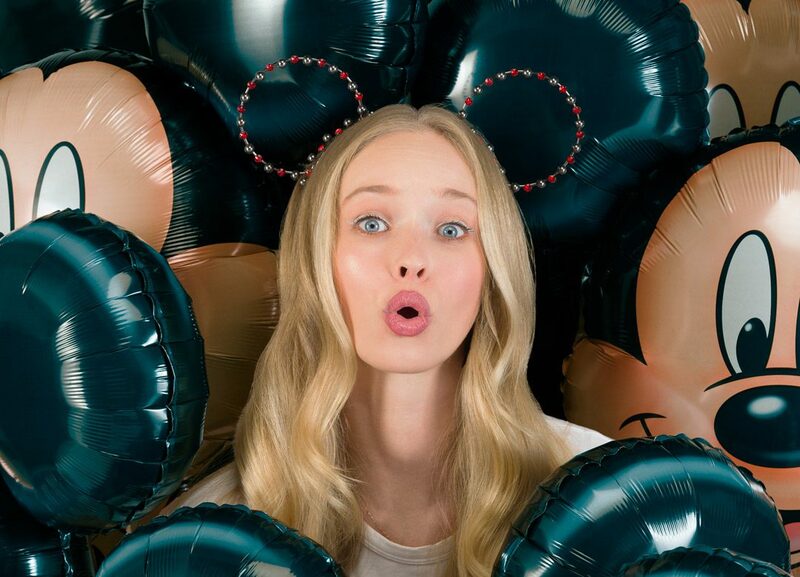 In celebration of Mickey Mouse’s 90th birthday, New York milliner Gigi Burris launches a capsule collection interpreting through headwear an American icon, Mickey. Burris debuts today a nine-piece collection of felt hats and hair accessories that celebrate Mickey’s timeless style and color palette. Gigi was raised in Central Florida with Walt Disney World essentially in her backyard, Burris was transfixed by Mickey Mouse from a young agehis unmistakable ears shaping more than just an unforgettable character, but also the dreams of a young, creative spirit. As a renowned milliner, Burris possesses a rare talent for taking the old and making it new, using centuries-old techniques to handcraft one-of-a-kind pieces that are all locally made in New York City. The first place that Burris draws inspiration from are the two simple black circles on top of Mickey’s head that have become as recognizable as the mouse himself. 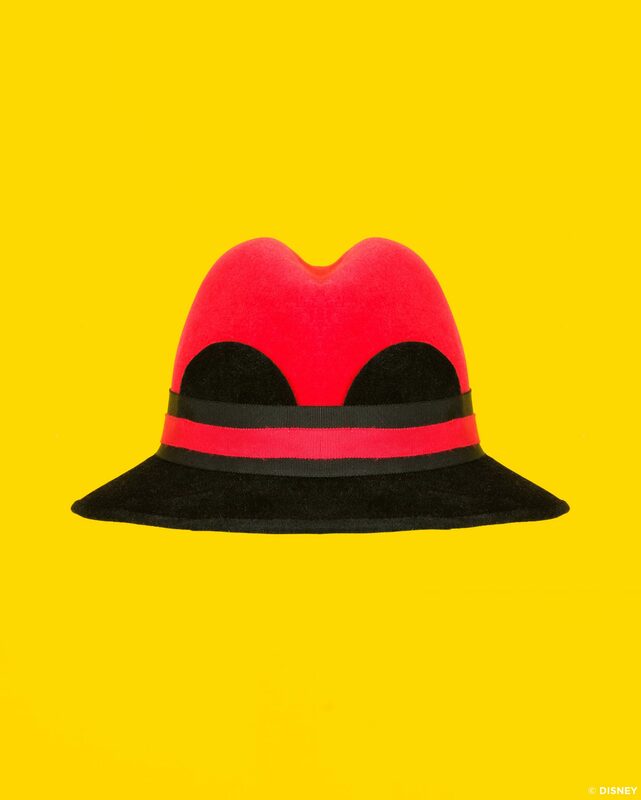 Burris plays off this silhouette in her Icon Cap, which comes in red, yellow and black. Now three dimensional, this innovative piece is a wearable sculpture. The Icon, is a limited edition drop with 30 hand-numbered pieces per color. “I wanted to create a forward-thinking take on the ears that looks as welcome at Walt Disney World as it would on the streets of New York,” Burris explains. 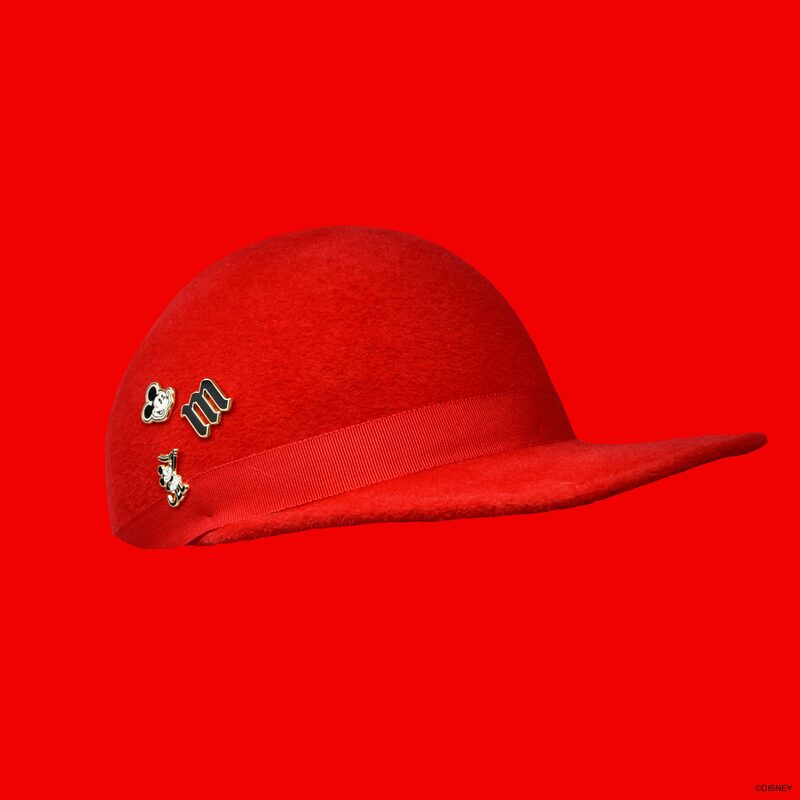 For a more classic silhouette, Burris creates a black and red fedora, drawing inspiration from the period of Mickey Mouse’s inception in 1928. 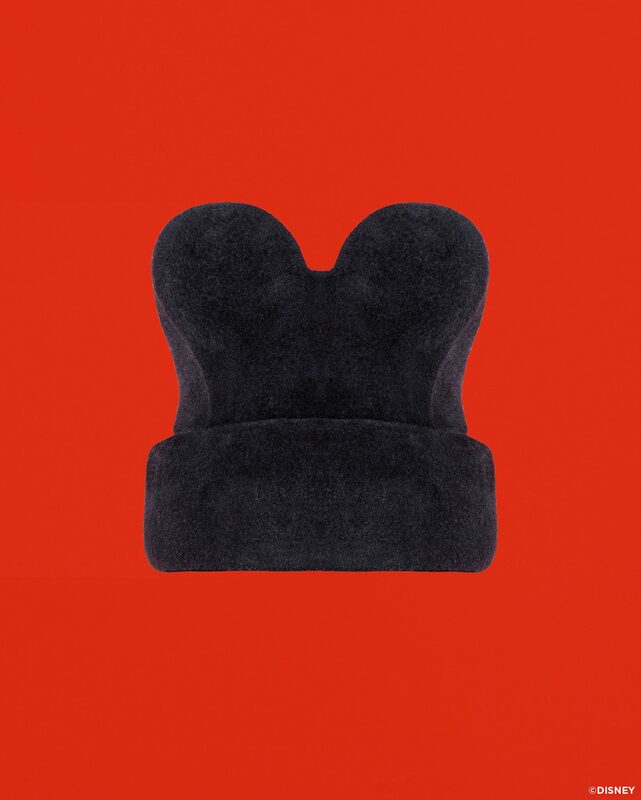 For this piece, the ears appear as subtle, black circles that add interest to the crown of the hat. Mickey’s black and white beginnings are referenced in an elegant veiled headband that features hand-applied sequins and Swarovski crystals on ears formed from hand-tacked French veiling. 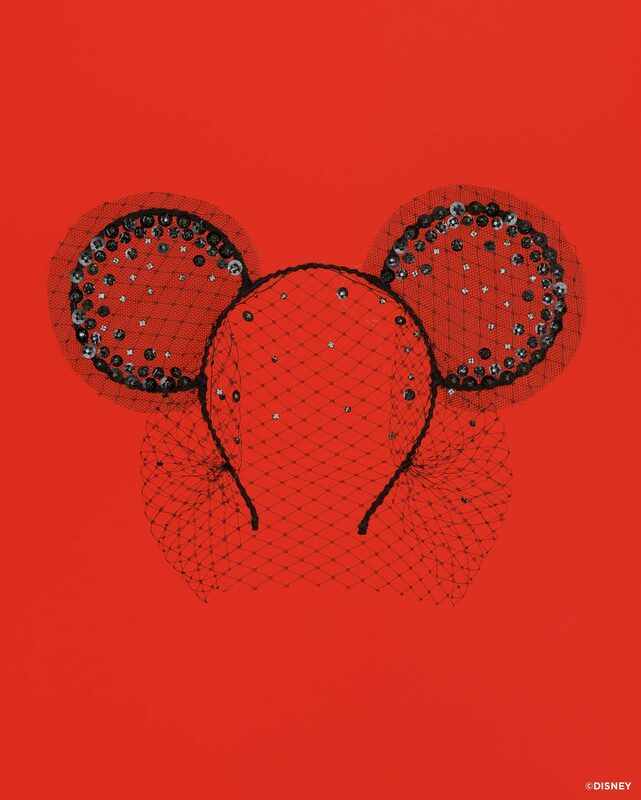 While Mickey’s ears are his trademark, the mouse has never shied away from headwear. He has always selected just the right topper to complement his most memorable looks. 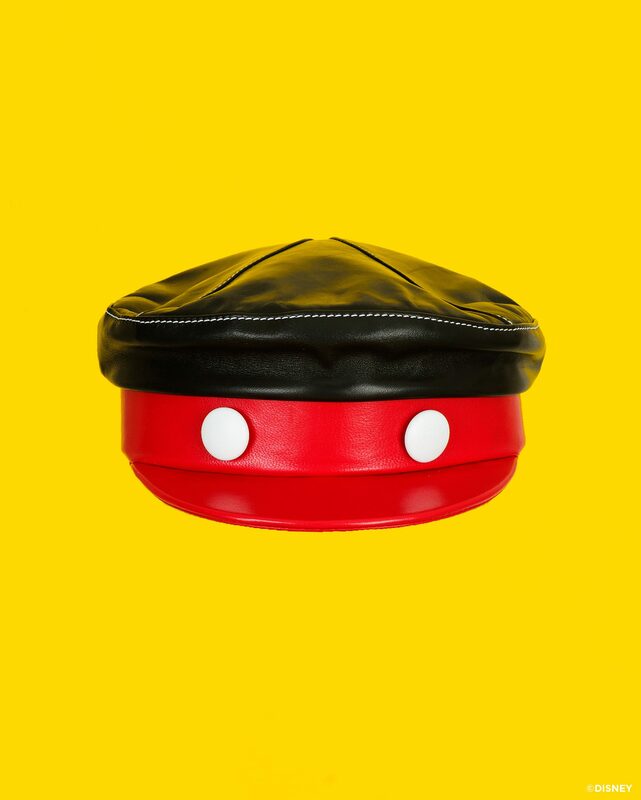 Burris is particularly inspired by the captain’s hat Mickey wears in his debut film, Disney’s Steamboat Willie, as well as the square brimmed hat Mickey puts on as a conductor in Disney’s The Band Concert. These references are alluded to in the form of a lambskin leather Greek Fisherman’s hat, featuring Mickey’s signature white buttons and a subtle nod to his hairline stitched in white thread on the top of the cap. A cheery, red, square-brimmed hat is a modern update to a classic baseball cap, complete with three Disney x Gigi Burris pins—Mickey tipping his boater hat, the classic icon of Mickey’s ears, and an “M” for Mickey. This moment harkens back to the days when Burris, like many others, would leave Walt Disney World with a plethora of Mickey Mouse souvenirs and memories of another special day spent with the beloved mouse. 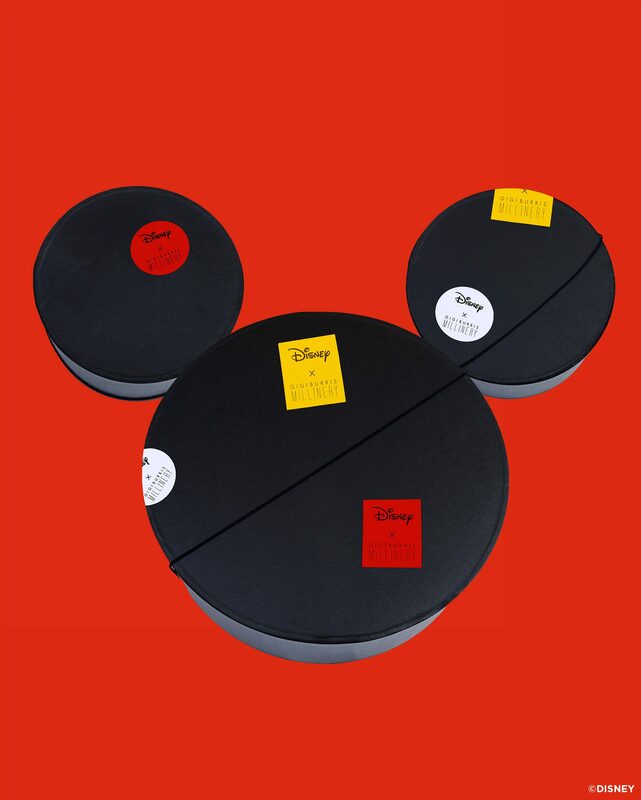 Each piece in this collection embodies what Burris and people everywhere love about Mickey Mouse— his playful mischief, his joy, his style and, of course, his ability to make you smile. 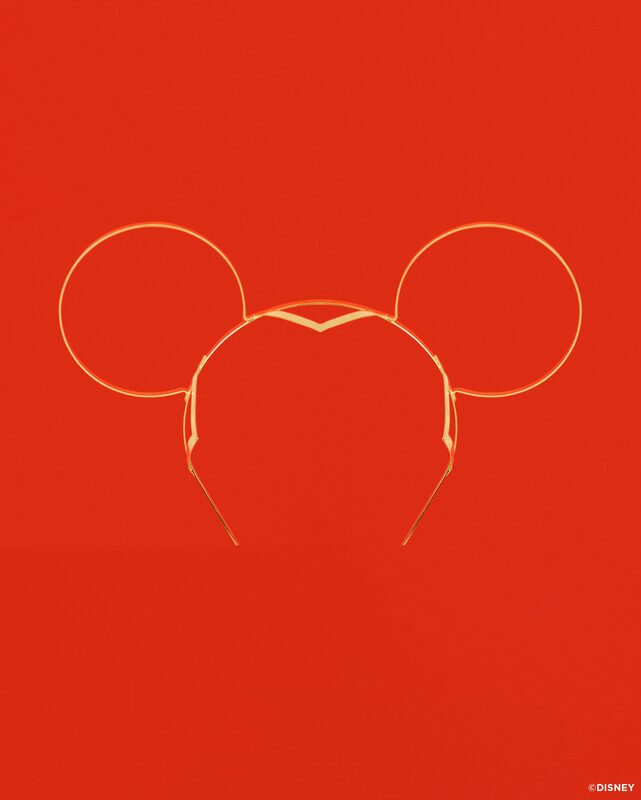 Earlier this year Disney announced the launch of “Mickey the True Original”– a global campaign in celebration of Mickey’s heritage spanning over the last 90 years. Since his inception in 1928, Mickey Mouse has become a global pop culture icon, transcending languages and cultures – embodying a ‘true original’ spirit; Mickey Mouse was the first licensed character franchise and appeared in the first-ever synchronized sound cartoon, Disney’s Steamboat Willie. 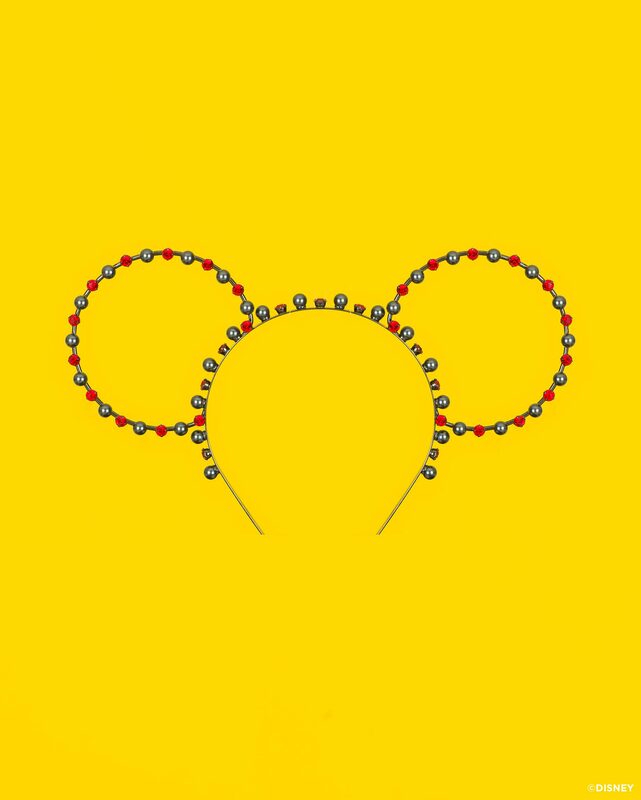 Recognized the world over, Mickey continues to inspire artists, musicians and fashion designers from around the globe. The True Original campaign will bring together other original brands that are recognized as pioneers in their field, and Gigi Burris epitomizes this. Disney x Gigi Burris is distributed exclusively at Walt Disney Worlds member’s only Club 33, www.gigiburris.com and Nordstrom SPACE.